Heat oven to 350°F. Line large rimmed baking pan with cooking parchment paper. Separate dough into 8 biscuits. Separate each biscuit into 2 layers, making a total of 16 thin biscuits. 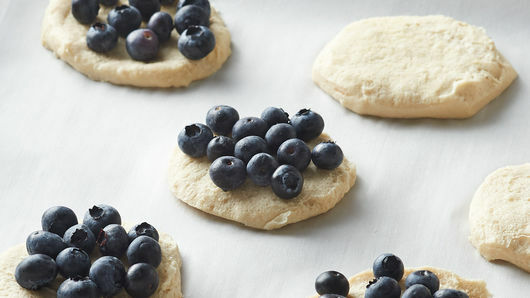 Evenly divide blueberries among bottom biscuit halves. 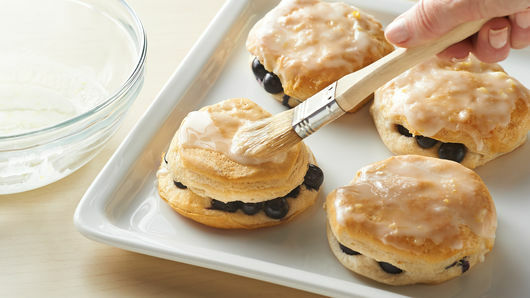 Place biscuit tops on top of blueberries. Bake 16 to 20 minutes or until biscuits are golden brown. Transfer to serving platter; cool 5 minutes. Meanwhile, in small bowl, mix powdered sugar, lemon peel and lemon juice. Brush biscuits with half of lemon glaze. Let stand 5 minutes. Brush with remaining lemon glaze. 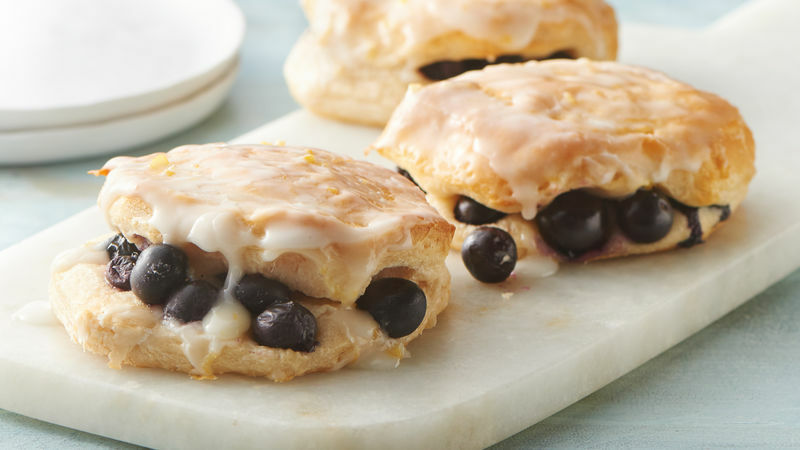 For the prettiest presentation, arrange plenty of blueberries along outer edges of biscuits so they burst and drip down edges of biscuits while baking. A specialty citrus grater makes quick work of grated lemon peel, but if you don’t have one, use a vegetable peeler to remove the peel, then finely chop with a knife.